Also worth noting is a change to the requirements for mailing rifles and shotguns (Section 432.3), which now states that these items must include “Signature Confirmation service or insured mail service (for more than $500) requiring a signature at delivery.” That insured mail service amount is up from $200. While these changes to the firearm requirements are fairly minor, this update serves as a good opportunity to remind shippers about USPS content restrictions. – USPS to Limit Shipping of Hoverboards—This blog post explains restrictions for shipping “hoverboards,” also known as motorized balance boards. The USPS implemented restrictions due to safety concerns and the risk of fire caused by the lithium batteries used to power hoverboards. – While on the subject of batteries, this blog post details USPS standards for mailing lithium batteries. – USPS International Restrictions by Country—Anyone who wants to ship to customers outside of the U.S. will want to take a look. – Keep up with all USPS News on the Stamps.com blog. As of December 16, the U.S. Postal Service will limit the shipping of “hoverboards” to addresses within the United States. Hoverboards (aka motorized balance boards) will only be accepted for shipping using ground transportation methods such as Standard Post or Parcel Select. This action is being implemented due to safety concerns and the risk of fire caused by the lithium batteries used to power the hoverboard. 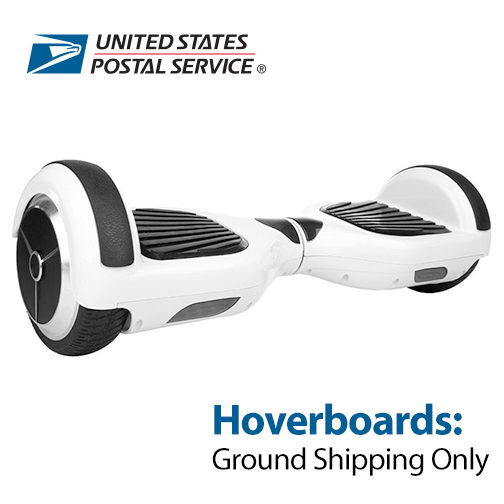 In order for a hoverboard to be mailable by the USPS, it must not contain more than 2 batteries and each battery must not exceed 100 watt hours. Important Note: This policy is different than the normal lithium battery acceptance policy for domestic packages shipped by the USPS. The shipment of hoverboards from the U.S. to all international and APO/FPO/DPO destinations is prohibited.